I am a creature of habit. As a result, I love creating and passing on Christmas traditions and then returning to them year on year. For me, it is one of the things that makes Christmas so special. Christmas traditions heighten the anticipation for the season. As each day of December passes, there is a new milestone to look forward to. From trimming the tree, to writing a letter to Santa, to opening that first advent window – each step brings that little buzz of excitement because it means Christmas is a little closer. 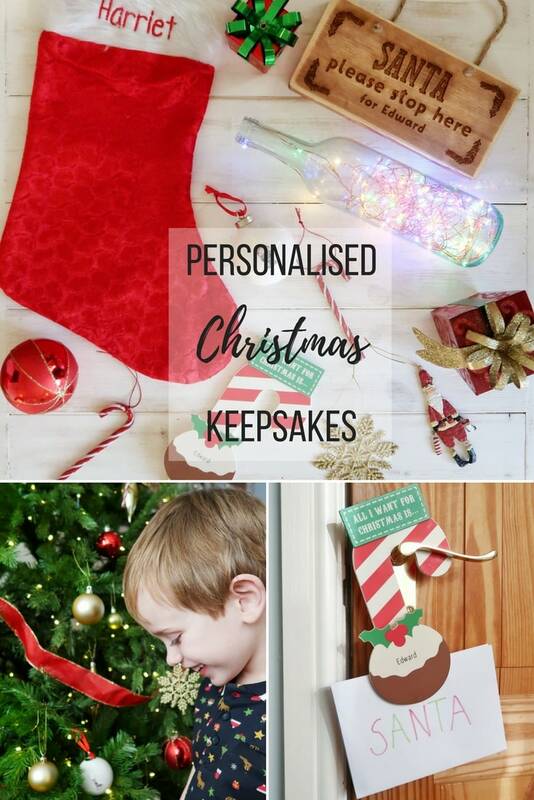 This year, Personalised Gifts Shop offered us some beautiful personalised Christmas keepsakes to review. The items have given us the opportunity to start some new traditions – and new opportunities to delight in the anticipation of Christmas. We tend to visit family at Christmas and we alternate between grandparents. Biggest is always a little concerned about Santa knowing where he will be. This is particularly true when we are visiting Nanny and Grandad in France. 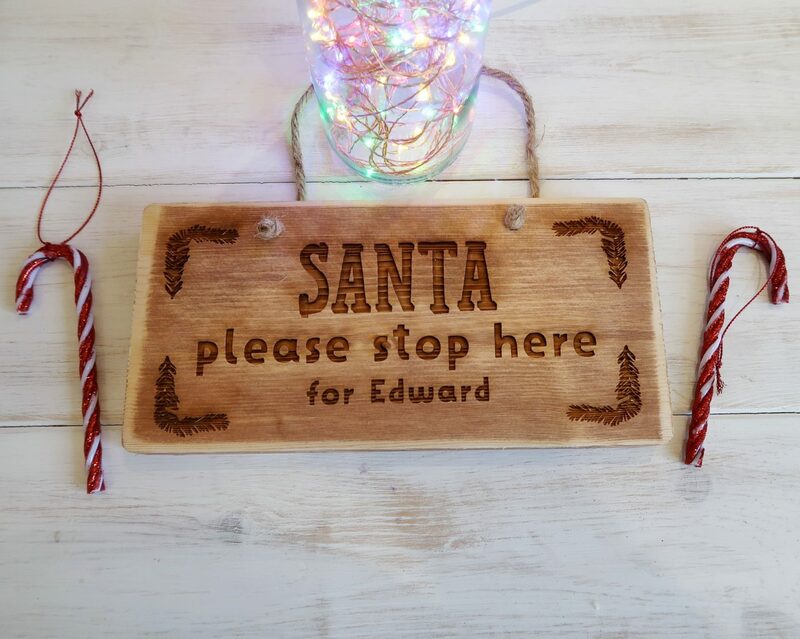 This ‘Santa Please Stop Here’ sign is perfect for easing that anxiety – and it will form a new tradition this year. The children can hand these signs on their bedroom doors before going to bed on Christmas Eve. I also have some ideas for Santa acknowledging that he has been. For example, removing the sign and leaving the Christmas stockings in their place. The sign comes in a few designs (though the above was my favourite) and is only £12.45 with personalisation – a bargain. I love this idea – mostly because it means I will not have to walk to the post box in order to ‘post’ a letter to the North Pole. The idea is that the list is left hanging on the door and ‘magically’ disappears overnight. If Elf on the Shelf is already part of the build up to Christmas in your house, you could combine the two and the mischievous elves could be caught on the hanger in the morning. 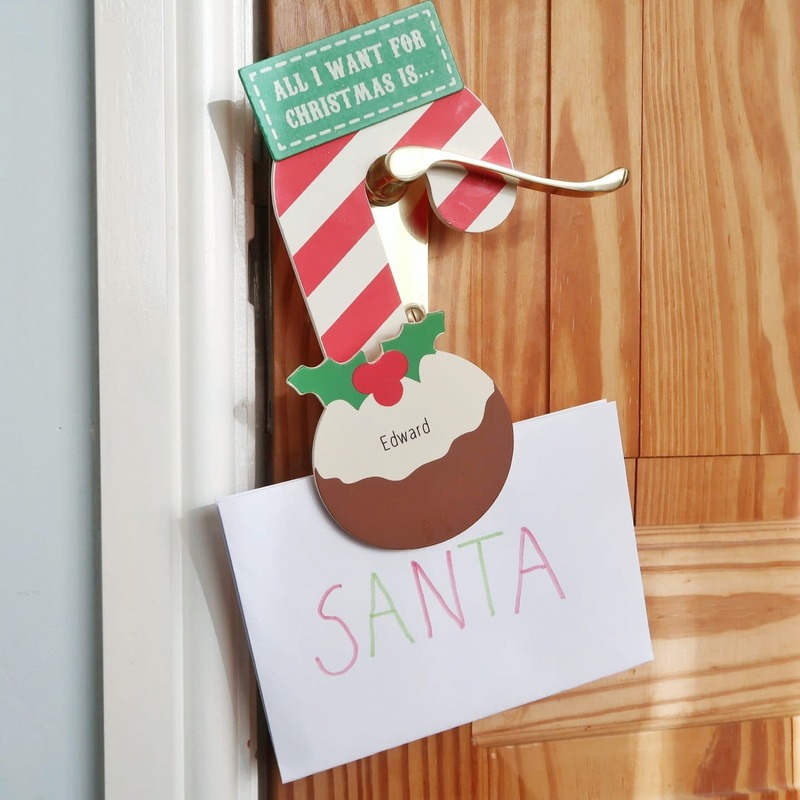 Again, the Wish list Door Hanger comes in a few styles and is only £15.99 with personalisation. Christmas Eve is not complete without a stocking ready for Santa – I think my two get more excited about the stocking magically filling with small toys and treats than they do about their bigger gifts. These stockings are a good size and shape and, of course, they come personalised as standard and are on sale for just £9.00 at the moment. I can’t wait to start shopping for things to fill them! 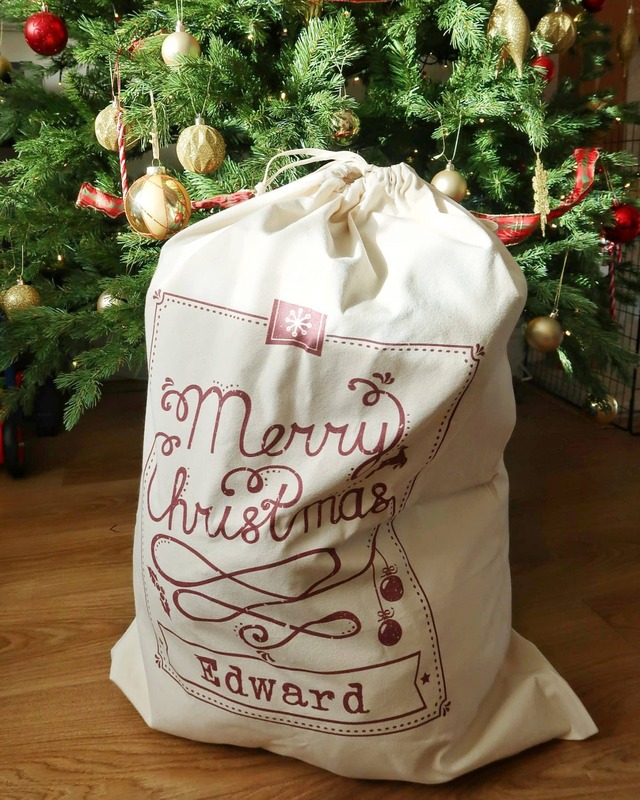 I love the design of these personalised Christmas sacks, but there are a range of styles and colours. I have not yet shown these to the children, so they will appear overnight on Christmas Eve. They will also help us transport and hide the gifts before then! 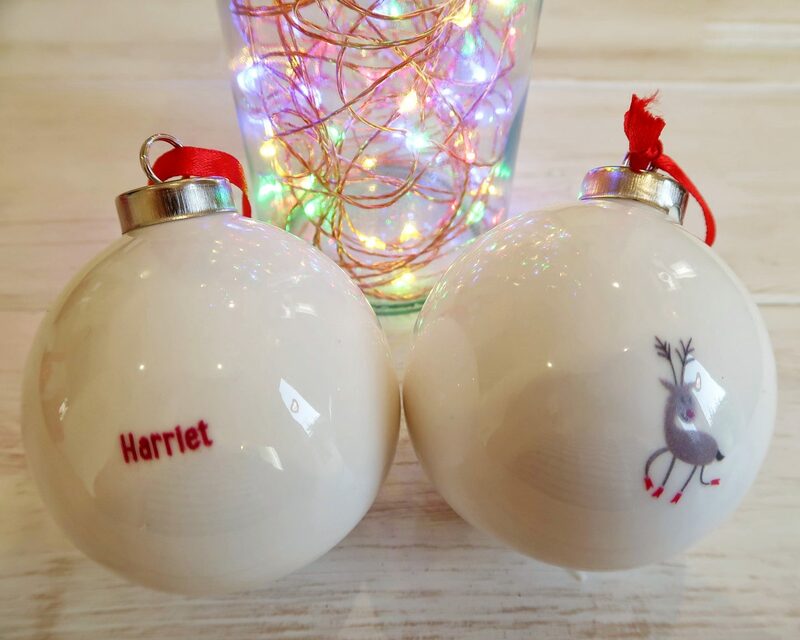 A personalised bauble is a keepsake that can be kept for many years. Both Biggest and Littlest have one each with their names on and they took great delight in adding them to the tree. These baubles are ceramic and are heavy and sturdy. I would have liked to see the children’s names slightly bigger. Never the less, for only £6.95 each, these baubles will make great gifts and keepsakes. 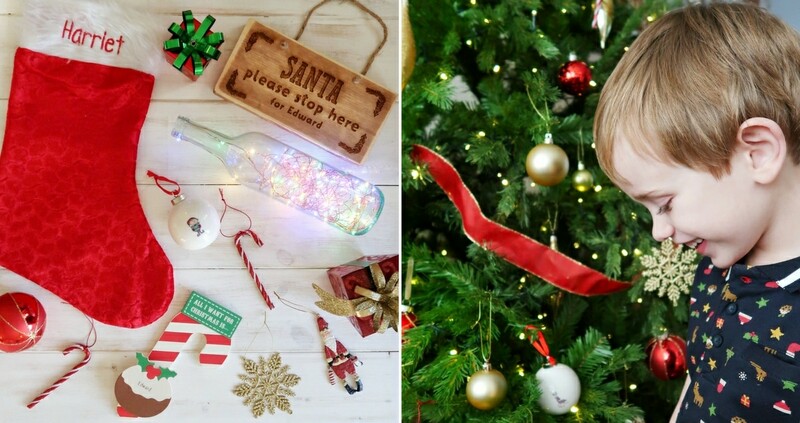 These items are the perfect additions to our Christmas preparations and traditions. Personalised gift shop has so many items that are high quality and reasonably priced. Delivery is free over £30 and the items are dispatched very swiftly. They are also offering a 20% discount for your first order at the moment. I think personalised Christmas keepsakes make great additions to Christmas Eve boxes. 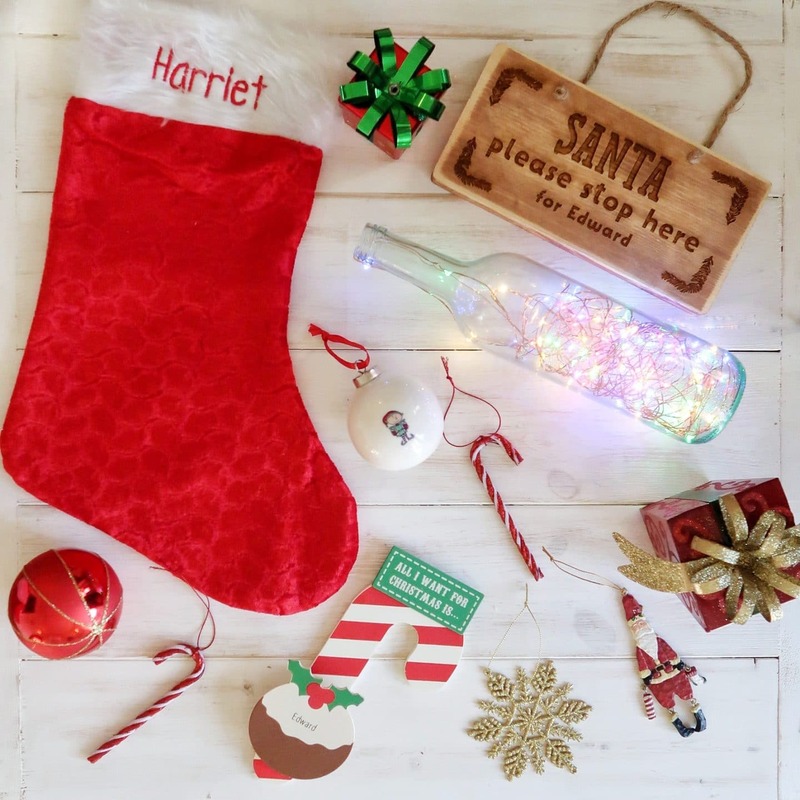 Whether you are after a specific personalised item, or a selection, Personalised Gift Shop items are great value for money and can add a touch of magic to your Christmas season. Please note, this post is in collaboration with Personalised Gift Shop.